As a treatment centre, Chandos provides active, therapeutic intervention through counselling, group work and individual body work in a supportive and semi-structured environment, with the emphasis on health promotion and emotional well-being. All residents are encouraged to actively engage with the planning of their own recovery. Our programme also supports the development of social skills, healthy self esteem and confidence - the essential elements needed to enable re-entry into the community. Residents actively participate in all house activities and tasks associated with communal living. We strive to ensure that the care and treatment provided is of the highest quality. 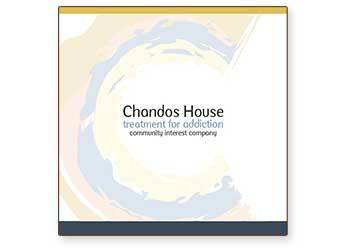 Chandos Addiction Treatment Centre is an all-male treatment facility focused on helping those who are committed to their recovery from substance misuse. We offer a residential treatment programme and aftercare package which is second to none. Chandos is a founder member of EATA - The European Association for the Treatment of Addiction (UK), and adheres to its policies, codes of practice and guidelines. Resident Radcliffe Royde has been at Chandos House for just over six months. He said it was “losing a 24-year battle with heroin and crack cocaine addiction” that had brought him to the centre. “There are guys here that came straight from prison, there are guys here that chose to come back because they needed a bit of extra support,” he said.